Tim Morehouse is an Olympic Silver medalist in fencing (Beijing Games 2008) and a National Champion (2010, Atlanta, GA). He has achieved a lot since getting graduating from Brandeis University including: Masters degree in Education, the number one ranked US Men’s Saber Fencer (2009-2010) steadily climbing the ranks to within the top 15 in the world. The CombativeCorner has been eager to learn about this guy, and luckily we did. Look to find all in his upcoming book, due out in Spring 2012. Click on the image above to visit his website. How did you know you wanted to be a fencer? I didn’t! I didn’t even know what fencing was when I first went to the tryouts at my middle school, but it was one of the few options for being on a team at my school, so I went to check it out and fell in love! Saber. I have fenced it since I was 14. I started in foil, but I always use to look over at the people practicing saber and wanted to do that one instead so I made the switch to saber. It if fast, dynamic and a lot of fun. What is the greatest thrill of your career thusfar? What athlete has inspired you the most and why? Jackie Robinson was a big inspiration for me. I wrote a book report on him when I was in 4th grade and the character he showed helping to overcome the color barrier in Major League Baseball was unbelievable. He faced so many challenges and overcame all of them. What is your favorite film to watch (that has fencing) and what about it makes it your favorite? The favorite fencing thing I’ve watched is the Modern American family fencing episode and it is HILLARIOUS! The son on the show is a dominating epee fencer at his club and his family is so proud, but he wants to retire before the gold since he has to fence a girl…I don’t want to give away the whole episode! They just did the whole episode so well, had me dying of laughter! What would Tim Morehouse have become (you think) had fencing not been a part of your life? I’m not sure. I really enjoy acting and have done a lot of classes in high school and was missing one credit to be a theater minor in college. I was never able to do any plays because fencing always took priority. What ritualistic, superstitious, or mental preparation do you do pre-competition? In other words, how do you get prepared? The night before I like to relax and watch TV shows. On long trips, I’ll usually bring a season of something. I also will write notes to myself the night before about things I want to make sure I do the next day when I compete. I have a very regimented warm up routine involving mental and physical warm up as well. Not too many superstitions. What passions does Tim Morehouse have off the strip? I enjoy doing things that are challenging and that help people. I was a teacher for 3 years with Teach For America and worked another 4 years on staff training teachers to work in inner-city schools so I would say that education is my biggest passion. I also enjoy blogging, doing a bit of stand-up comedy every once in a while, meeting great new people and planning events. If Tim Morehouse was a superhero, what power would he have and what weapon (if any) would he have and why? The power to help people believe in themselves more. (including myself!) I think you can link back most successes to having confidence and belief in what you’re doing. Imagine what kind of world we could live in, if more people pursued their passions and ideas 100% and weren’t afraid to play it safe. 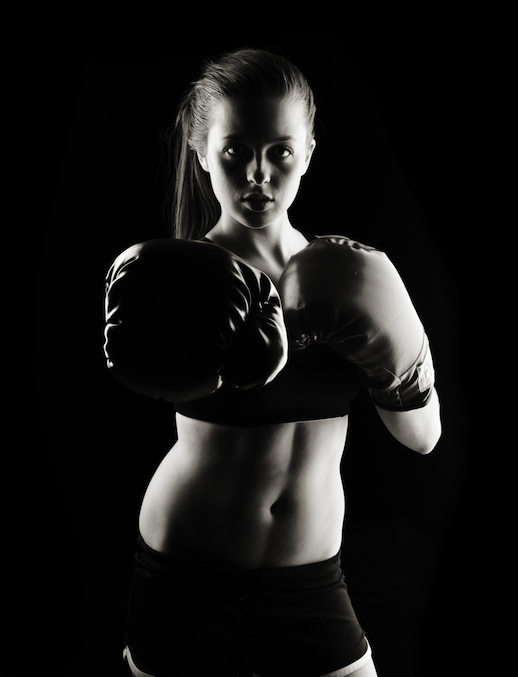 Mixed Martial Arts for Self Defense? Recently I read an article from the Gothamist, entitled New Argument For Bringing MMA To NY: Self Defense! These thoughts perpetuated by the fact that UFC-buff, Joseph Lozito (6’2, 270 lbs) was able to tackle and pin down 3 x murder suspect, Maksim Gelman. Gelman is accused of stabbing seven individuals as well as fatally injuring a pedestrian with his car. Lozito was commuting from the suburbs of Philadelphia to his box office job at Avery Fisher Hall. Gelman, pretending to be a cop, began beating on the motorman’s door, then turned to Lozito and said, “You are going to die,” laughed, and lunged at him with a knife. A short story even shorter, a transit cop (Terrence Howell) was able to restrain and subdue Gelman. Heroic conclusion. First, Lozito is indeed brave and should be considered a hero to the people. Without his help (and Gelman’s insanity) Gelman could have gone on to commit many more acts of violence. My concern comes when people begin to see sport competition as a legitimate self-defense system. Of which, it certainly is NOT. Yes, there is some cross-over. Bruce Lee was a Hong Kong champion of the Cha-Cha (video), and believe it or not, it probably made a better martial artist. If someone was to learn the mixed martial arts (which consist mainly of Thai boxing and Jiu-Jitsu) they undoubtedly will become better fighters, but only for sport competition. It’s similar to American football versus rugby. Yes, some football players might become great rugby players because they are familiar with carrying a ball, colliding with one another and running towards a particular end of the field…. but they have different rules and one is a bit more brutal than the other. The person who trains in a true system of self-defense trains to avoid, escape and survival at-all-costs. Avoid any confusion…MMA is a Sport. The heroic figure in this article (Lozito) wasn’t even an athlete, he was just someone with a brief wrestling background and who spent a reasonable amount of time watching the UFC. The fact is – Lozito outweighed his opponent by a good sum, and was prepared to fight to his death (this gave him great odds in my book). Brave? Absolutely! …the slightest bit “qualified” to even assume his time spent watching UFC was what saved his life?… absolutely not! He would have likely escaped, in my opinion, if he’d spent all that time watching women’s basketball. Just because you see a technique on Submissions101 or in some competition, and intellectually you understand the mechanics of the move… it absolutely does NOT mean you can replicate it. Especially under the stress of an actual encounter. If someone is to learn proper self-protection skills, that person MUST first understand this article’s underlining message. And if you don’t yet understand what that message is, you’re either too young or too naïve. Let’s here your thoughts Combative Readers! The Hybrid Fighting Method (HFM) is a self-defense and fighting system forged in an urban environment. HFM is brutally effective, and it will make sure you survive a violent encounter. When people watch the videos I have posted on YouTube, or when they watch classes – it often draws comparisons to Krav Maga. I have even been challenged that HFM is no different from Krav Maga, and is just a plagiarism of it. This article is to explain how this is not the case. First of all, I fully acknowledge that my background is in Krav Maga, and that there are many shared traits between KM and HFM. But, through my years of training and teaching KM, I saw many things that could have been tweaked or changed altogether to make the system more effective for a larger audience. Krav Maga (at least how I was taught) was very rigid and the training methods didn’t allow for much improvisation. So, I began incorporating elements of other systems I had learned, and something new began to take shape. Think of this analogy. Back in the early 1800s in the United States of America, there had been nearly half a million slaves brought over from Africa. They brought with them their culture, which included traditional African music. The Caucasian Europeans that lived in the US brought with them classical music. Over the next century, the slaves, also being influenced by the European classical music, began incorporating it into their own African music. Before long, what emerged was what we now call “jazz”. Is jazz classical music? No. Is jazz African music? No. Jazz is a new form of music, related to both Classical and Traditional African, but also entirely different from both. Similarly, human beings evolved from primates – and we share over 98% of a primate’s DNA. But you would never say that human beings ARE primates! We share many similarities, but are very different things. This is how HFM differs from Krav Maga. It shares some of its “DNA”, but has evolved to become and entirely new entity. And by the way, as a devout music lover, I can appreciate classical music and traditional African music – but my REAL passion is jazz! * T.J. Kennedy is in the process of making available a self-defense instructional dvd series that will be available shortly at his website, HybridFightingMethod.Com. Don’t forget to Subscribe to the CombativeCorner – we’ll make sure you know the second it becomes available. 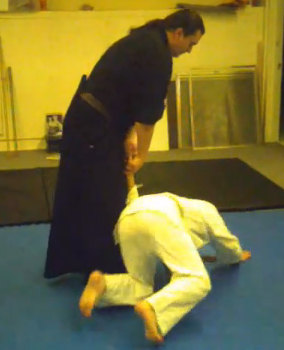 These principles are very important in Aikido training. Since not all styles of Aikido being taught today emphasize these principles, I feel very fortunate to have had teachers that taught and believed in the coordination of the mind, body and spirit. As time goes by, I realize more and more the importance of not only training the body to perform techniques but training the mind and spirit as well. 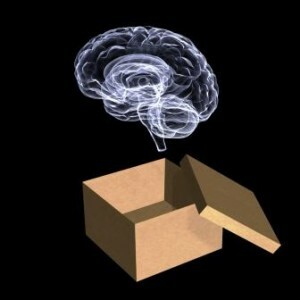 The mind is a very powerful tool that we can continue to develop as long as we live. While the body ages with time, the mind, with proper training, can remain fresh and alert even to an advanced age. The answer is always the same. You simply take control of your thought. When the mind begins to wander and flip-flop from one thought to another, take command of it and bring it back to the task at-hand (or whatever it is you are trying to accomplish). The key here is practice. The more you do this, the more effective you’ll become. This forces us to live in the present moment and increases our awareness. When one lives in the past or the future it considerably weakens the power of the present moment. Understand that how we do things in the present affects the outcome of the future. Awareness is the number one rule in all self-defense situations and it is also the number one rule in living a strong and successful life. Numbers 1 and 4 are rules of the mind. Numbers 2 and 3 are rules of the body. The four basic principles to unify the Mind, Body and Spirit are the path to a true understanding of Self and your relationship to the world as a whole (AND you as a part in it!). When you have found your center, it’s then that you are starting to see the true spirit of Aikido.